This one is big news for the budding musicians out there -- Google has announced that the Artist hub will be part of their new Music player and website. Artist Hub is a way for independent musicians to promote their music with audio files, video, and exclusive content that they control. It's very much like the Android Market developers portal. 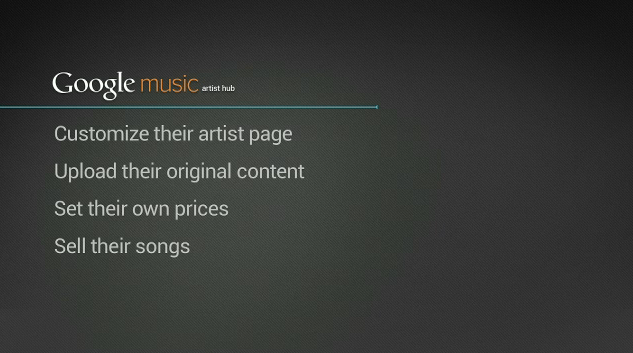 All the content artists upload will be available via the web, and on 200 million Android devices. That's a lot of eyes and ears, and this service should be a great way to get your music heard, as well as a great way for users to discover new content.